Plain and simple, this online course will break down the fundamentals of information architecture so that you can organize content that is clear and easy to find. This course is ideal for everyone involved with the creation of digital products, from designers to marketers and those in between. Learn how to organize and categorize content and receive a certificate at the end. 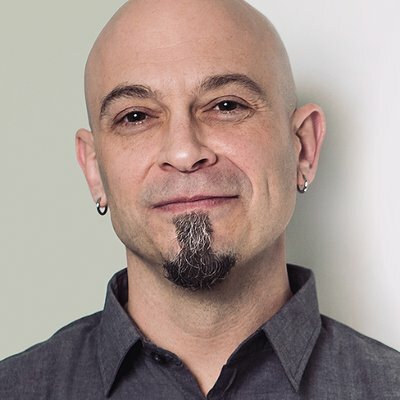 Joe Natoli is a user experience evangelist that splits his time between teaching others about user experience and consulting enterprise design and development groups on it. In addition to his Udemy courses, he contributes to Fast Company, SmartCEO, and Business Monthly. He has also written a book on UX Strategy and Product Improvement, titled Think First. Content fuels the digital world, and unfortunately, there is a lot of it. With so much content, it is often difficult for the average user to navigate through it. Information architecture (IA) helps create logical navigational pathways for users of digital content. IA provides much-needed structure for an otherwise congested information highway. This course teaches content creators, designers, and marketers how to build their own information architecture. Information Architecture Fundamentals includes 30 condensed video lessons on organizing and categorizing content. In addition to clearly defining the term, the course walks participants through the process of creating their unique architecture. Foundational topics such as organizational rules, naming conventions, and validation methods are combined with the instructor’s first-hand experience to provide practical instruction. After a short introduction, IA Fundamentals dives into content strategy. Students learn how to create a content strategy and identify content requirements before completing a practice exercise on content workflows. The course then explains how to organize that content using information architecture. Students learn various information architecture models, methods of categorizing, as well as the standard naming conventions. Like the previous section, this portion concludes with a practice exercise – this time on information priority. This is merely the first half of the course. Information Architecture Fundamentals includes a total of six topic sections, each ranging from six minutes to thirty minutes long. The discussion goes deeper by detailing the five types of information architecture, followed by another on navigation design. If it seems like a lot of information to cover, it is. Thankfully, it concludes with a summary of the important points as well as a bonus section of pitching your IA to stakeholders. Information Architecture Fundamentals is available for purchase on Udemy.com. Udemy is an online learning platform that hosts more than 55,000 courses on a variety of topics. Students pay for classes ala carte and retain access forever. Udemy courses are video based and include mobile and TV access. This course consists of 2.5 hours of downloadable video instruction. Joe Natoli, the creator of UX &amp; Web Design Master Course, another popular Udemy course, leads this course. Joe has spoken on User experience and design topics for the past 24 years. Now retired from the industry, he currently works as a consultant and speaker on user experience design. His courses are well-liked due to his engaging nature and variety of presentation styles. Information Architecture Fundamentals is ideal for anyone involved in the creation of digital products. In addition to designer and developers, this also includes content and marketing professionals as well as product owners and managers. All types of digital products, such as apps, systems, and sites will benefit from the strategies learned in this course. Even the best content requires good information architecture. This course explains information architecture from a content accessibility point of view. It explains, in non-technical terms, how to organize content for any digital project. With the instructor’s mixture of industry experience and engaging style, this course is perfect for anyone that wants to learn how to organize digital content.